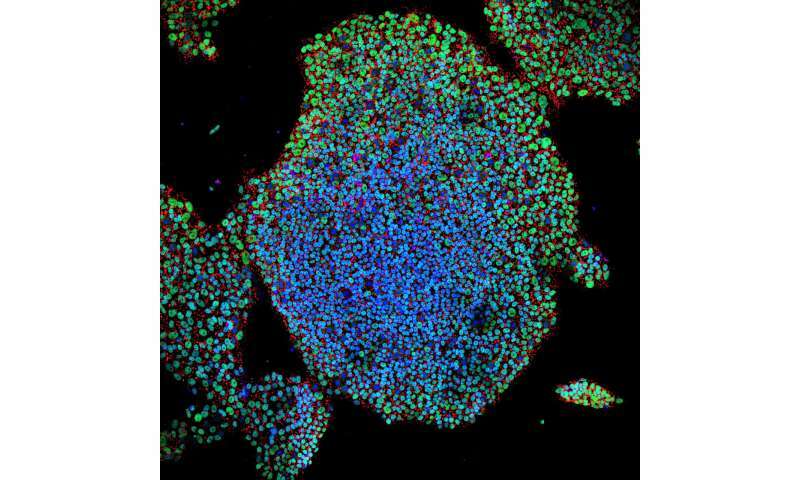 Researchers have been advancing methods to generate insulin-producing beta cells from pluripotent stem cells (PSC) for the clinical treatment of type 1 diabetes (T1D). However, transplantation of these immature cells into patients poses substantial risks, namely the development of tumors (teratomas) and the growth of these stem cells into unwanted cell types. Pluripotent stem cells are known to develop into all of the body's cells and tissues. Now, for the first time, scientists from the Diabetes Research Institute (DRI) at the University of Miami Miller School of Medicine have engineered a human pluripotent stem cell line containing two 'suicide genes' that induce cell death in all but the desired insulin-producing cells. This double fail-safe approach, published online ahead of the March 5 issue of Stem Cell Reports, addresses the limitations of PSC-derived beta cells and opens the door to creating safe cell-replacement therapies for people living with T1D. With clinical trials already initiated using PSC-derived beta cell progenitors and newer approaches with functional beta-like cells on the horizon, the need to ensure patient safety is of paramount importance. Research has shown that only about 30—40 percent of beta-like cells are obtained through current PSC differentiation (development) protocols, leaving a significant percentage of undefined cells in the balance. Most importantly, non-differentiated cells—cells that have not yet developed into a specific type—may produce tumors upon transplantation, despite recent protocol refinements. To address these concerns, the DRI team set out to engineer pluripotent stem cell lines that selectively destroy both tumorigenic cells and cells that do not produce insulin, like liver, brain, muscle cells and others. The team tested their approach both in vitro and in vivo in a mouse model of diabetes that mimics the disease condition in humans. Their results demonstrated the removal of all unwanted cells. "Not only did our strategy prevent the formation of tumors, but also eliminated them completely when we switched on the suicide genes only after the tumors were fully grown," said lead study author Juan Dominguez-Bendala, Ph.D., director of stem cell development for translational research and research associate professor of surgery at the Diabetes Research Institute, University of Miami Miller School of Medicine. No other research method reported thus far offers the same degree of safety and specificity, as conventional suicide gene-based strategies bring about the destruction of the entire graft (transplant) or do not selectively expand the population of the needed cells. While the team focused on deriving insulin-producing cells, this strategy, if clinically successful, has far-reaching applications beyond diabetes. "By changing just one module of our suicide cassettes, we could make the strategy specific for any tissue of your choice. Our main interest is beta cells, but it could also be tailored to select for neurons, heart or liver cells, for example," explained Dr. Dominguez-Bendala. In type 1 diabetes, the insulin-producing islets cells of the pancreas have been mistakenly destroyed by the immune system, requiring patients to manage their blood sugar levels through a daily regimen of insulin therapy. Islet transplantation has restored natural insulin production in people with type 1 diabetes, as DRI scientists have published, but there are not enough cells to treat the millions of patients who can benefit. Addressing the shortage of insulin-producing cells would address one of the major challenges that stand in the way of a biological cure for the disease.